InvestorsAll the latest insights and expertise from the world of online investment. EntrepreneursGet expert advice on how to create, manage and grow a business. Seedrs NewsKeep up-to-date with the latest news from Seedrs and funded companies. 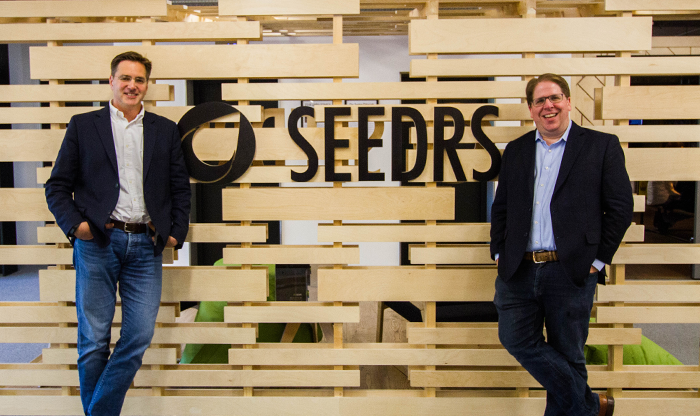 I am very pleased to announce that, after eight years as CEO of Seedrs, I am today handing over the reins. Last month, I asked our Board to appoint Jeff Kelisky (our COO) as my successor, and they agreed. Jeff is going to make an outstanding CEO, and I cannot fathom placing the company’s leadership into a better pair of hands. At the same time, the Board has named me Executive Chairman. This means that in addition to becoming the company’s Chairman, I will continue to serve as a full-time executive in the business. I will be focusing on a range of major strategic, commercial and corporate initiatives, as well as continuing to be an active evangelist and advocate for Seedrs—whose mission I believe in as much as I did when I co-founded it. Today’s transition marks the culmination of an 18-month process, and I wanted to share a bit about why we’re making this change. After we completed our Series A fundraising round in the summer of 2015, we began expanding our team quite quickly. My immediate focus was on making a number of key hires that I knew we would need in order to deliver aggressive growth. But soon I started thinking about the overall leadership of Seedrs, and I realised that some of our biggest gains could come from making a change there. Provide both strategic and operational leadership as we grow our core business organically. This means exercising day-to-day management of the heads of each of the operational teams…and providing coherent and unifying leadership across all members of staff, but it also means making key strategic decisions about things like the services we offer, the markets we enter and the targets we set. Pursue the range of extraordinary opportunities—what I have been calling “moonshots”—that exist in an emerging market like ours and that, if successful, have the potential to change the game for us entirely…I am convinced that these sorts of moonshots are what can make the difference between a good outcome…and a truly great one. It is exceedingly difficult to manage organic growth while trying to pursue moonshots at the same time. The two require different mindsets, operate on different cadences, and have very little synergy with each other. As I try to switch between the two on almost a daily basis, I can see that I am not being nearly as effective at either as I would like to be or as I believe the right person could be if he or she focused on just one of the two. Not only have I never before been a CEO, but I have never actually worked for or been exposed to the leadership of a good CEO. My efforts to provide strategic and operational leadership are fundamentally an exercise in learning as I go, and while I believe that was effective and necessary in our startup phase, a scaleup business needs to be able to draw lessons from what has worked elsewhere—and those are lessons I cannot provide. Someone who has been a CEO…of a successful, high‐growth, technology-driven business can bring a whole different level of experience and skill to this role, and I think that would benefit the business massively. The underlying ambition and vision for the business is, and always has been, Carlos’s and mine, and both my experience and, I believe, my temperament make me well suited to identify, negotiate and execute significant transactions. Looking back over the last few years, I think I have often tended, consciously or not, to focus more on this type of work, and it is something I am keen to continue (and believe I can add substantial value) doing in the future. So the long and short of it was that I wanted—and thought it was in the company’s best interests—to hire a CEO and move myself into a different role. The Board supported my recommendation in principle, but there were several practical questions we needed to answer. If we hired a CEO directly, we might draw a relatively larger pool of candidates, but the risk was much greater. Hiring a CEO who doesn’t work out is one of the most damaging things a business can do to itself, and letting a CEO go after a short stint isn’t great for the reputation of the business or the executive. Meanwhile, if we hired for a COO or similar role, we knew that there might be some candidates who would feel the title insufficiently senior. However, going down this route would de-risk the process for us substantially: the successful candidate could join as COO, and if it worked out for both parties, a promotion to CEO could follow; meanwhile, if either of us weren’t happy after a period, we could part ways with relatively little damage to either of us. We spent a long time debating this, and in the end we split the difference. We advertised for a COO, but we instructed our recruitment firm to make clear to candidates that the role was intended as a “trial” position before moving to CEO. As a result, we wound up with an outstanding pool of candidates while still avoiding the risks that a direct CEO hire would have entailed. The other big question was what an “outstanding pool of candidates” actually looked like. What domain experience did we want—financial, technology, fintech, or something else? Did we want a seasoned leader at the end of his or her career, or did we want an up-and-comer with something to prove? Were there specific skillsets that were more important than others? We ultimately decided to cast a wide net, but we had one overarching, and challenging, criterion: the successful candidate needed to have the unusual balance of, on the one hand, demonstrated success in scaling and managing a technology-led company, but on the other hand, still being dynamic and hungry enough to roll up his or her sleeves and lead Seedrs at a critical time in our growth. Off the back of these decisions, we began the hiring process in July 2016. The UP Group did a great job leading the process, and they put in front of us a range of truly outstanding business leaders. But in the end, it wasn’t even close: Jeff Kelisky and I clicked immediately, and as we put him through rounds and rounds of interviews with execs, non-execs and shareholders over coming months, he emerged as the clear winner. And lucky for us, despite other great offers he was receiving, he liked us and the challenges we face enough that he accepted our offer. So what was it about Jeff that we found so impressive? Part of it was certainly about his natural abilities. He is an exceptionally intelligent and thoughtful individual: he is the only candidate I met who, five minutes into our first meeting, grabbed a marker and started mapping out ideas on the whiteboard. At the same time, he has a remarkably strong EQ and a natural feel for leadership—qualities that don’t always go hand-in-hand with his level of intellectual firepower. But what it really came down to was that he fit the balance we were looking for—between historic success and hunger to do more—to a T.
A technologist by background, he started out as a programmer and systems engineer—and later became a salesman—at IBM during its Lou Gerstner-led renaissance. Following an MBA at London Business School and several years consulting with A.T. Kearney, he joined Multimap, which was Europe’s leading provider of online mapping services. After a year he was promoted to CEO and led the business for five years before selling it to Microsoft in 2007. He joined Microsoft with the sale of Multimap, serving as General Manager of the Bing Local Search and Mapping portfolio worldwide. He then joined Picsolve, a Fidelity-backed $75 million image capture business in the entertainment space, as CEO. In that role, he delivered the company’s transformation from an analogue to a digital business, and by the time he left in 2016, it was an industry leader in image capture and in retail execution. Many people with that sort of pedigree would buy a vicarage in the Cotswolds, join a few boards and gradually fade from the business world. Not Jeff. It was clear in our interviews—and has been reinforced ten-fold since he joined as COO—that he is a highly energetic, hard-working leader who has a strong sense of purpose and wants to roll up his sleeves and do what’s needed to deliver success. He may have done great things in the past, but he wants to do even greater ones going forward, and he is both prepared and able to do the work required to make that happen. So in the end it was an easy choice to hire him. But as impressed as I was, when Jeff joined us in January 2017, I was planning on waiting—and observing—for a year before proposing to move him to the CEO role. In the event, I waited less than six months. He has delivered everything he said he would as COO and much more, and neither our Board nor I felt we needed any further affirmation before we promoted him. The final gating item after Board approval was the FCA’s sign-off: we’ve now received that, and so today we can make the move official. The decision to hire Jeff and then appoint him as CEO was always about what was best for the company and our shareholders, and I’ve done my best not to let my personal motivations play a role in that. After all, if the company succeeds and our share price appreciates significantly, I will always be proud of the role I have played as co-founder (and the financial rewards won’t be bad either…) regardless of whether I’m CEO or tea boy. But handing over the leadership of a company one helped found always has something of a personal element to it, and I thought I’d say a few words on how I view this transition. To put it simply, I couldn’t be more thrilled about it. I’m thrilled because I now get to focus properly on some of the work I’ve always liked doing but never had time for. I have found it frustrating through the years to start down the road on countless significant projects, including a number of the sorts of moonshots I discussed with the Board, only to be pulled in so many different directions that I never managed to get them off the ground. I am hugely energised by the fact that I can now spend time going deep into these areas and, I am confident, add significant value to the company in the process. I’m thrilled because I get the chance to chair the Board. We’ve long had an effective and committed Board, but we’ve never had a full Chairman before. I am very much looking forward to working with our Board to evolve and maximise its contribution to the business as Seedrs grows. And I’m especially thrilled because I finally get to work for a great CEO. As I have told Jeff many times, I view the work I’ll be doing as an executive and as Chairman fundamentally as being a way to earn for myself a seat at the table while he leads the business. I can’t wait to watch and support an experienced CEO in action, soak up as much as I can from him, and use those learnings to make myself a more effective operator, investor and leader in the years to come. Today marks the beginning of a very exciting new chapter for Seedrs. I am as bullish about what this company can and will achieve as I have ever been, and I know that in Jeff Kelisky’s hands, we are going to do great things in the years to come. I hope all of our many clients, shareholders, supporters and friends will join me in welcoming Jeff to the CEO role and wishing him the very best of luck as he takes the reins. 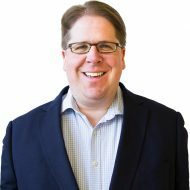 I'm Executive Chairman and Co-Founder of Seedrs. Fintechs: why do investors find them so interesting?